Titanfall Review –Is it Titanic or The Titanic? 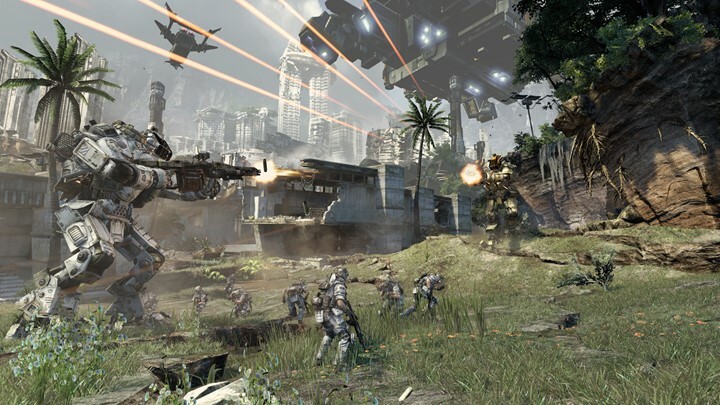 Titanfall Review – Is it Titanic or The Titanic? It is always interesting when an ‘event’ game launches, a title that gets folks talking and everyone is watching. Titanfall one is such game. 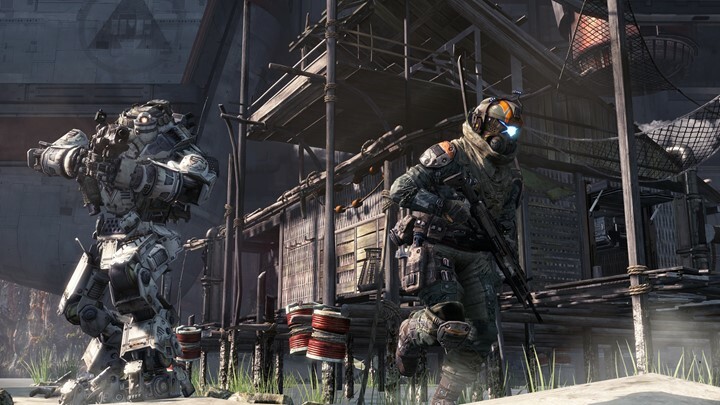 Is Titanfall worth the hype, or is it actually just a titanic failure? The action is the highlight in Titanfall. The movement and activity of the on-foot pilots and the firepower and mobility of the titans make the combat a beautiful thing. As a pilot you can double jump, scamper up walls and ledges, run along walls and generally navigate the maps with ease. It’s a buzz to out maneuver and flank your opponent and makes no hiding spot safe, which forces you to keep moving. The constant movement makes Titanfall what it is, and without that it would just be Call of Duty with mechs. Those mechs, the titular titans, are surprisingly well balanced. They definitely give whoever has them an edge but they’re never overpowered and can always be countered. Likewise, they’re not inconsequential pushovers and can turn a match when used well. You can either hop into your titan to take direct control or order it into AI mode, either to follow you or guard an area. I love to set my titan to follow mode for a short after summoning it since it usually attracts a lot of attention (“OMG a big target! Shoot it!”) and I can take out pilots and other titans as they focus on it. When the area clears or I come under hard fire I’ll jump in the cockpit and take it manually from there. Other players can also ‘rodeo’ your titan, jumping on it and ripping off a panel before laying fire into your titan’s internals, requiring you to either disembark and deal with them, have a teammate shoot them off, or use electric smoke to burn them off. It’s a high risk/high reward maneuver for a pilot and underscores the good balance between them and titans. There isn’t a true campaign to play through, and zero single player component. The campaign is just a sequence of multiplayer maps with minimal story notes to supposedly tie it together. It’s really unimpressive and you can’t pick a side in the campaign, as you’re auto assigned when you start it. It would bother me that they didn’t include a usual campaign, but then I remember how much I hated the Battlefield 3 campaign. It’s not the first game to go this route either, and the likes of Unreal Tournament have done fine without a typical story mode. Titanfall is good enough at what it does that it can get away with this half-hearted campaign. Visually Titanfall is attractive enough, but it’s not gorgeous. The speed of the game nullifies allot of that, though since the world is constantly zipping by you so fast you don’t have time to truly appreciate the art. Where it stands out is in level design. There are well thought-out sight lines and navigation routes in every map, and the maps themselves are fun and creative. My favorite, Bone Yard, is a desert with giant skeletons littering the map. It’s open enough for good titan battles but the varied elevation gives pilots an edge, too as you can scamper up the ribs of the dead beast and hop atop the rock ridges to get a better angle or flank your foe. On top of that, there are giant dinosaur-like things all over the map for eye candy. The sounds effects are solid and the music is alright, but the voice overs – while not fancy – do a great job of keeping you informed without requiring you to take your eyes off of the action with cues on your titan spawn time, enemy activity, titan falls, and more. I was skeptical of Titanfall. I had my doubts that it would be anything more than, as I mentioned above, Call of Duty with mechs. Instead, it is actually more like Unreal Tournament with mechs, because that’s the game that comes to mind more than any other while playing, and that’s high praise coming from me. If you like shooters and miss the twitch shooters of yesteryear, I recommend you give Titanfall a go. It’s as much a throwback as a step forward for the genre and I like it that way.